Do you need an honest roofer? We’re proud of our reputation and commitment to customer service and integrity. If you want an honest roofer who genuinely cares about your best interests, contact us today. You can feel confident calling our 5 star rated company for your roof replacement or new roof installation needs. 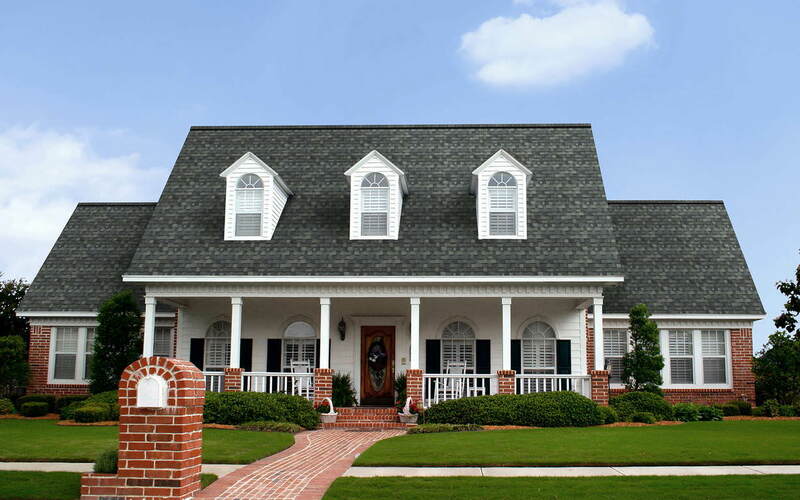 We primarily do residential asphalt shingle roofs. 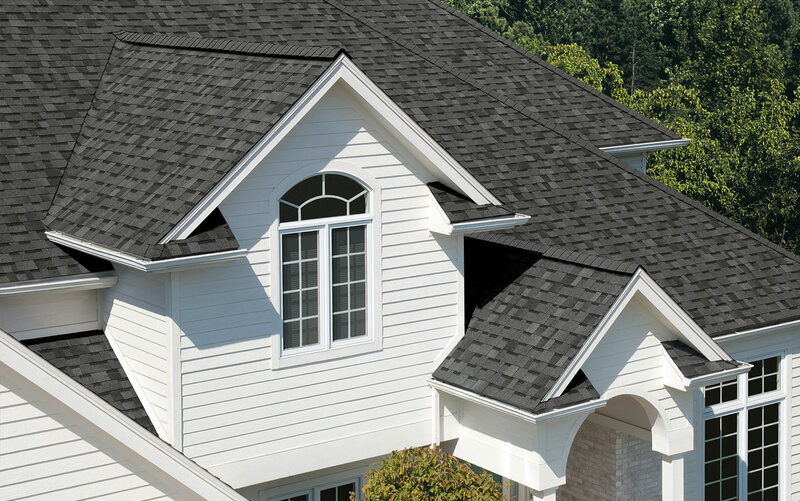 Reputable, insured, and with a lifetime install warranty on roof replacements, you'll get a quality product at a fair price. What can I say about the roofer who has yet to sell me a new roof. Alan Barber the owner of Mitchell Construction may very well be the most honest man on the planet, and that is saying quite a lot considering he is in the roofing business. Over 3 years ago Alan came out to my house after a big hail storm to give me an estimate. After getting umpteen million brochures from various roofing companies stating I needed a new roof I was sure Alan was going to say the same. He took his time, inspected the roof thoroughly, and explained its condition clearly. Then to my surprise, he stated: "I'd love to sell you a roof, but you don't need one" -- this from a roofer. Just a few months ago we had another big hail storm and was concerned about my girlfriend's roof.. I immediately thought of Mitchell Construction and called Alan. He came out promptly, and once again to my surprise he did not try to sell a roof. And the topper, just last week I had a leak in one of my skylights, Alan came out to take a look, explained in depth how I can fix it myself, and didn't charge me a cent for his time...this guy is unbelievable, in a good way. So if you are asking does Mitchell Construction build a good roof, I can't honestly say I have first hand experience....that being said I have no doubt Mitchell Construction would build the highest quality roof in Austin and stand by their work 100%. If you want to deal with a truly honest company, that warranties their work, and will be there if problems arise, then choose Mitchell Construction. There is a very good reason why Mitchell Construction has earned a solid 5 star rating on Yelp. It is solidly deserved. This is a family business that has been around Dripping Springs for well over 40 years and they take a lot of pride in their reputation. That pride is well justified. Alan is fanatical about making sure his customers are completely satisfied. There are no surprises. He is upfront and honest about any potential issues that may arise. And, his prices are much better than his competition. We had him replace a roof on our pool-side cabana. The work was done quickly, professionally and the site was cleaned up well afterwards. And, this is important, Alan is a good communicator. He lets you know exactly when to expect him and keeps you informed at every stage of the process. This gives you great confidence and avoids any unpleasant surprises. If he says he will do something, it will be done, you can depend on him. I recommend him very highly. He is as good as it gets. What a pleasure it was doing business with Allan. He's professional, knowledgeable, quick to respond, and his integrity is beyond reproach. They don't make them like Allan anymore. I see honesty is a reoccurring theme in the reviews; there's a good reason - he deserves it. Alan and his company are top notch. Excellent customer service, and excellent quality workmanship. They replaced my roof almost 10 years ago, and it's still in fantastic condition, according to my insurance company (USAA) who looked at it after a hail storm last year. Highly recommend Mitchell Construction if you need to replace your roof- I wouldn't go with anyone else these days. Thanks to Alan for his honesty in roof repairs I avoided being ripped off without a doubt! Good honest contractors are hard to come by these days. He's a rare breed. I highly recommend calling Mitchell Construction! Had some shingles blown off roof during recent wind storms. Referred to a roofer via a friend who was simply too busy to get the repair folks out. Searched here and found Mitchell Construction with great reviews. Called and got an immediate answer. Amazingly quick and available, I got a same day repair. HONEST!!! Up front about costs and projected issues with matching shingles on an older roof when only some patching was needed. Did fantastic/friendly work and priced very fairly. Gave me a great quote after pictures via text, but then lowered when realized on site that the work would not be as laborious as thought. That is a business model that is missing many places. Hopefully won't have any new storm damage in the future, but this is THE guy! Mitchel construction just put a new roof on my house. They did a beautiful, well done job! Alan was always quick getting back to me when ever I had a question. He is very personable and I felt I could trust him. You won't be sorry if you choose Mitchel construction. Alan answered his phone after hours last night and said he could be at my house in the morning to look for damage that could be causing a leak. He wasn't sure about getting up there considering the pitch of our roof. He sure scrambled up there and found a hole an caulked it. He was honest, super friendly and knowledgeable. He made sure I knew what to look out for in the future with my roof. I love to keep things local, so I am very happy to find someone to come out to Driftwood from Dripping Springs. He mainly does new roofs, but it was sure nice of him to come out on such short notice and figure out that there was a hole and do a quick fix. Had some shingles blown off my roof. Alan was out an hour after I called to take a look. He was able to locate the same shingles and repaired the roof same day for a reasonable cost. I highly recommend him and his work and I wouldn't hesitate to call him again. Best contractor I have worked with - ever! We were in desperate need of roof repairs after the June wind storms in Drippin'. We were referred to Alan by out neighbor. He came out promptly and inspected our roof. He strapped on his roofing gear and did some emergency repairs, on the spot, to avoid any water damage if it rained. The insurance adjuster had been out a few days before and told me he didn't see a full replacement, but about 1/2 and patch the rest. Long story short, I got Alan in direct contact with my "desk adjuster" and after some pictures and key words, I had a complete replacement approved! Key words here are: Honest, Knowledgeable, Prompt, Friendly, Professional, and just great to work with! If you need an honest, professional opinion on a new roof, call Mitchell Construction! We called this company to come take a look at our rook as we had sustained a couple of small leaks after recent heavy storms. They came out to look at the roof. As it turns out, they don't really do repairs, but just complete roof replacements. They were very honest. Did not try to tell us we needed a new roof just to up-sell us. The person who came out told us the leaks were likely from some flashing that had come up and they took the time to caulk the flashing and the nails and did not charge us for the work. They were very pleasant, professional and helpful. Will keep them in mind for when we do need the entire roof replaced. Thanks guys! Promptly responded to my contact over repair to storm damage to roof, came the next day to give me a quote. Quote was reasonable, he found shingles for my 14 year old roof that almost matched the originals (I can't tell the difference), and his crew showed up and completed the repairs the following day in a timely and professional manor. What can I say but all business should be handled this way. Mitchell Construction/Roofing, was extremely responsive and very quick to come out, do an estimate and was very easy to work with. Alan Barber, the owner, clearly works long hard days and has no problem stopping by to do an estimate for a new customer after a long day on another job site. I called several companies who told me it would be 2 to 3 weeks before they would send someone out just for the estimate. Alan Barber, was informative, helpful and made sure every detail before, during and after the job was taken care of in a very efficient amount of time. Alan was clearly interested in making sure I had not only a quality roof installed, but correct features installed. He explained what type of venting our house needed, the type of trim our insurance company was requiring and what my choices were, all within the budget of the estimate. He added venting along the ridge tops and upgraded the plastic vent covers to metal and stayed in budget. The hail had put large holes in the old plastic covers, clearly metal will hold up much better. He explained about the different types of shingles and color choices. Alan worked with our insurance company in a professional and honest manner. I had spoken and gotten a couple of estimates from other roofing companies who either suggested or clearly were going to "help" me avoid paying the insurance deductible. Last time I checked, this was called fraud and not anything I was interested in doing. Before the date for the roof instalation, Alan and his wife Michelle who works with him, came over and did an internal home inspection, explained exactly what he was doing and why. Looking for ceiling cracks, water stains that might indicate roof leaks etc. He also went through a detailed check list of how I needed to prepare my home, my family and pets for the day of the instalation. This was all new to me so having a step by step explanation was very helpful and quite educational. Alan was very patient and considerate of our home, family, pets and yard. On the day before the job was scheduled, his crew delivered the supplies on time, and with no problems. On he day of the job, his crew showed up on time, finished in one day, cleaned up every piece of garbage and left a beautiful new roof that looked better than I expected. 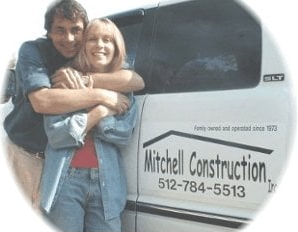 I would use Mitchell Construction again and highly recommend them. This is probably the nicest, kindest, most honest human being in the world. I just spoke to him on the phone and he patiently went over my situation with me (roof repairs needed but quotes from other companies seem higher than they should be) and he recommended a reliable person who could help for a lot less. He wasn't getting anything at all out of it and was seriously the most humane and generous person. I will definitely be calling him if I need anything done! Hands down, Mitchell Construction is the best contractor I've ever worked with, period. From my initial consultation to the final review of the finished work, Alan went above and beyond what I expected and what I had experienced from any other contractor. Having had bad experiences in the past, I had grown very suspicious of companies over-promising and under-delivering. The amount of fliers I had received after the hail that hit our area was evidence to me that there were a lot of storm chasers out there out for a quick buck. Rather than make a rash decision I'd regret later, I made sure I waited long enough to avoid the fly-by-night companies. I did my research by looking on yelp.com, the better business bureau, recommendations at work, and various company websites. I narrowed it down to two companies and Mitchell won out due to responsiveness and eagerness to do the job right even if it meant not doing the roof at all. During his first visit, Alan was very up front with me about his work, the way the roofing industry operates, and what to expect as a homeowner. I felt like I was working with someone who genuinely cared about my own interests as an individual. At no point in the conversation did I feel as if I was being sold something or being asked to do anything that wasn't within what I needed. We got on the roof together, noted areas that were hit and I learned about what sorts of damage hail can do to a home. Later, we look a look at the attic, where he showed me various hot spots and recommended solutions that fit my particular scenario. I felt so confident in what he was telling me and the way he approached the work, that I decided to go with a lifetime warranty shingle. When the delivery of materials (3rd party company) was a little sloppy, he was quick to call his supplier and demand they call me and apologize. While unexpected and possibly unnecessary, this type of first-class treatment is what you can expect with MItchell. Alan is an outstanding communicator who realizes his business depends on reputation. He is determined to do a great job and takes pride in what he does. I wouldn't hesitate to hire them for roofing, general contracting, or any other service I need. I wish more contractors worked by his code of conduct. And, after looking at my neighbor's roofing jobs I can now identify what types of things they had (or didn't have) done, which has empowered me as a consumer. How many contractors do you know that would go that extra mile? 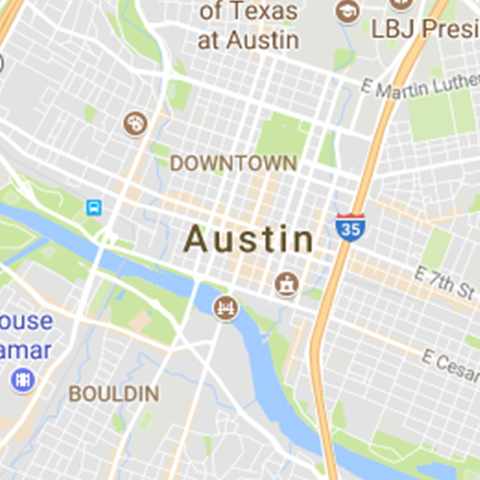 We are also serving Austin, Blanco, Buda, Canyon Lake, Cedar Park, Driftwood, Dripping Springs, Fischer, Hye, Johnson City, Kyle, Leander, Liberty Hill, Manchaca, Marble Falls, Martindale, Maxwell, Round Mountain, Round Rock, San Marcos, Spicewood, Wimberley and all other local areas.